With these two colors I had a better idea of what to expect in terms of finish. 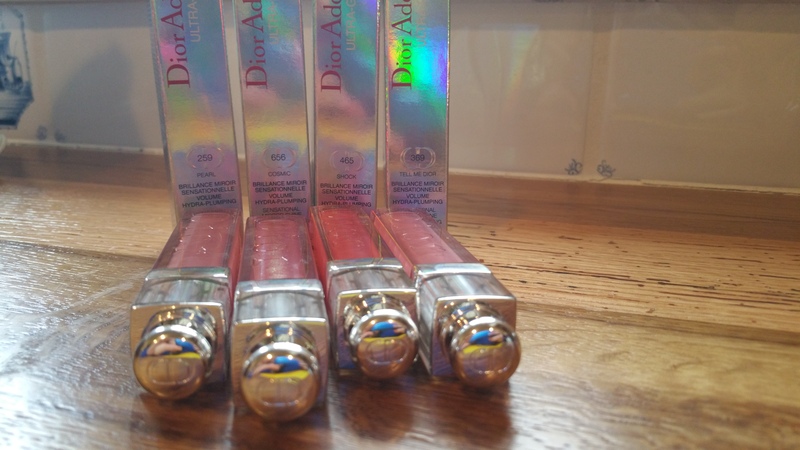 Remember Dior’s category descriptions for finish: Pure, Iridescent, and Sparkling? Cosmic is in the “Iridescent” category, and indeed it is iridescent. 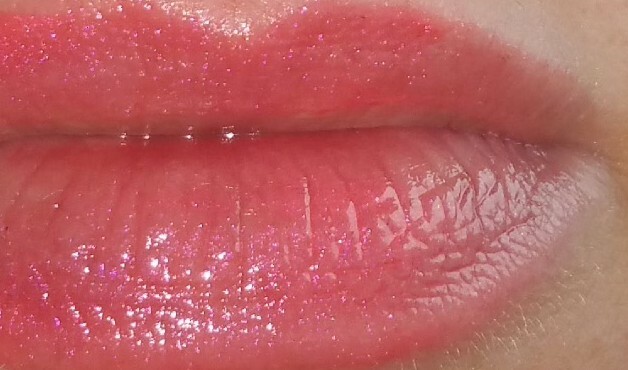 However I wasn’t necessarily expecting the small glittery pieces, which you can see on my lips. 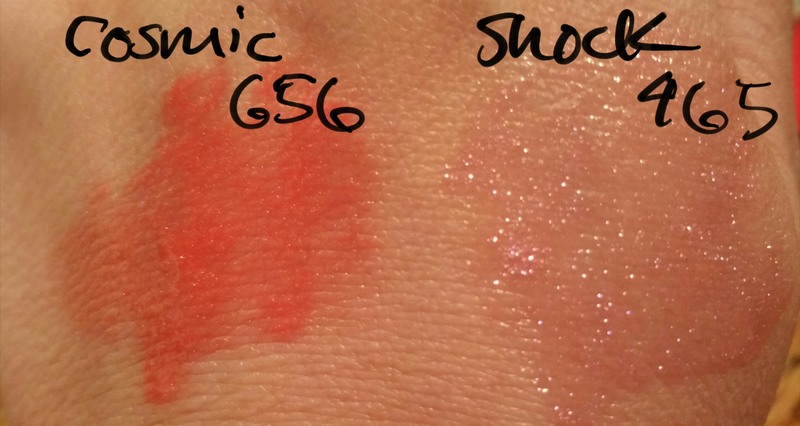 For the color Shock, I did expect glitter because it’s in the “Sparkling” category. The thing is, the end effect of each is still iridescence and glitter, with Shock just having more and larger glitter pieces. 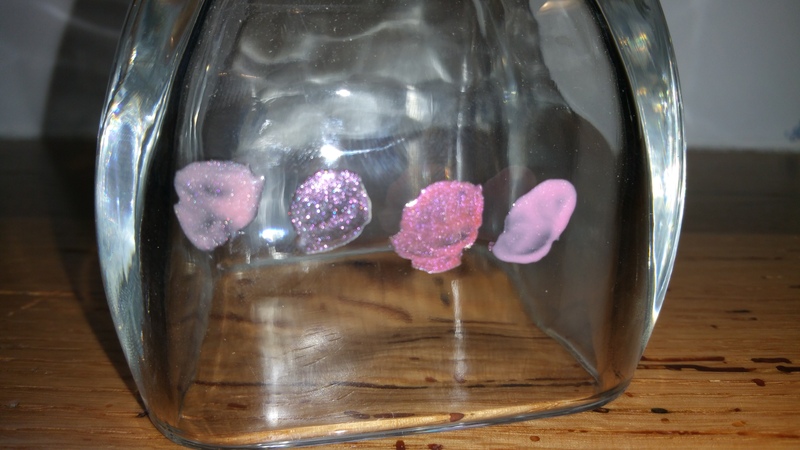 Note that with Shock especially, the glitter remained long after the rest of the gloss had worn off. 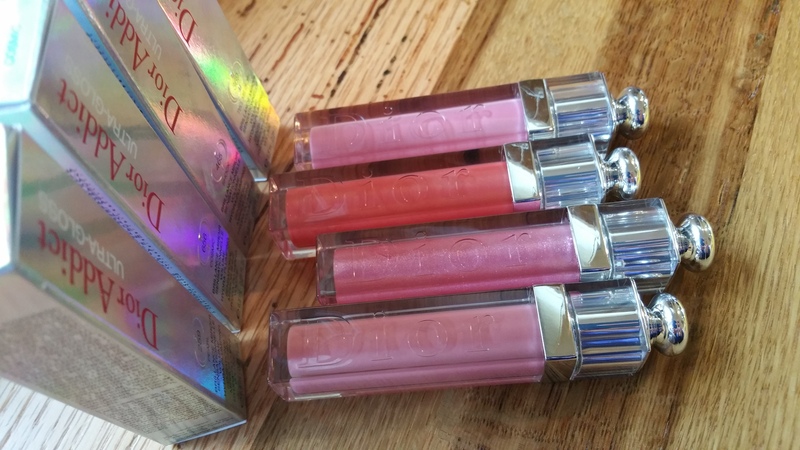 Below you can see the four colors of Dior Addict Ultra-Gloss I’ve tried so far from this 2016 (re)launch. 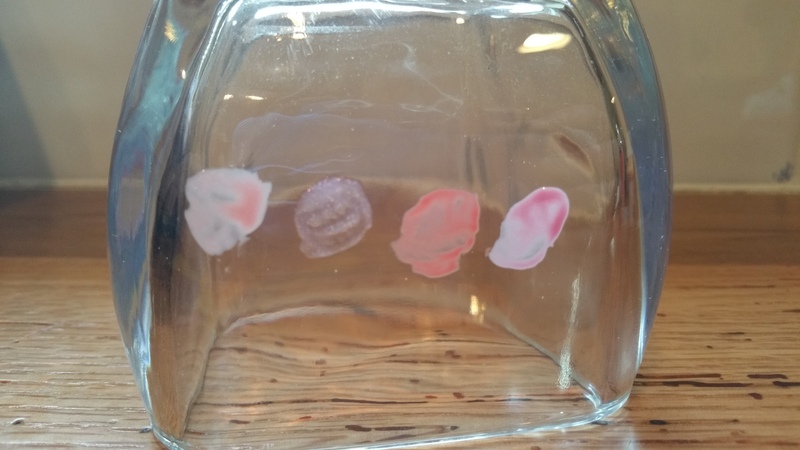 I swatched each of the four colors on glass so you can really get a sense of their sheerness and properties. 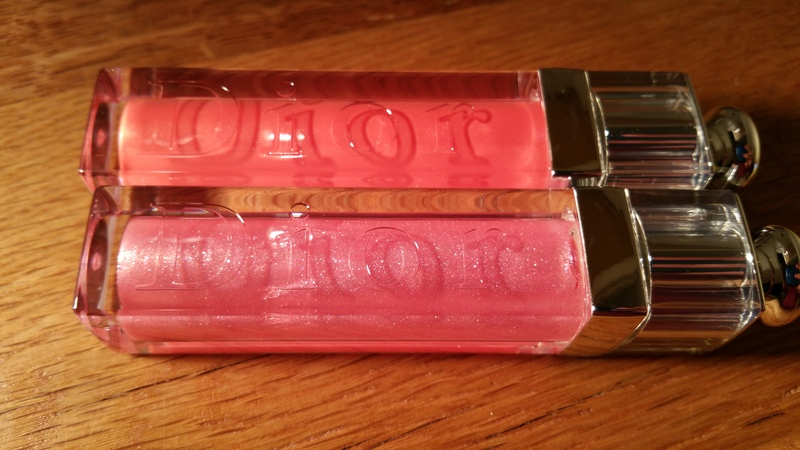 Has my opinion of Dior Addict Ultra-Gloss changed? It has, somewhat. I can see that this product offers an appealing array of color and sheerness options, which is a plus in terms of marketability. However, it’s not really a plus in my little world. I just want a simple, sheer, cream, cool, pink gloss. 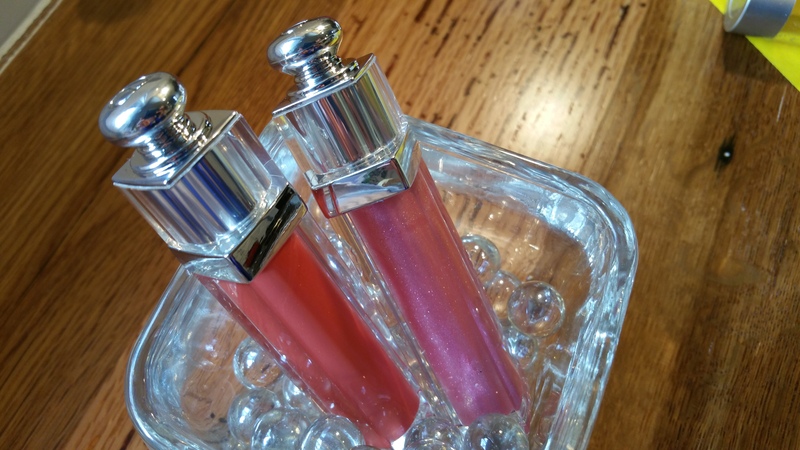 These glosses do look good on the lips, but there are lots of glosses that do too. I guess I’ll just need to try wearing Ultra-Gloss for a few weeks to see if it improves lip conditions by “plumping” in the long-term. By the way, do you love or hate how I drew labels on the photos in this post? Is it tacky or kitschy, or refreshing and cool? Please be honest! You won’t hurt my feelings.